By default, WordPress shows your latest blog posts on the front page of your website. This tutorial describes how you can set a static page as front page instead. You can change the front page of your website in the Customizer. Therefore go to Appearance → Customize → Static Front Page. By default, your website shows the latest posts. As alternative you can set a static front page. Therefore select any static page as your Front page and a second page as Posts page. The Posts page will then show your latest posts instead of the normal page content. 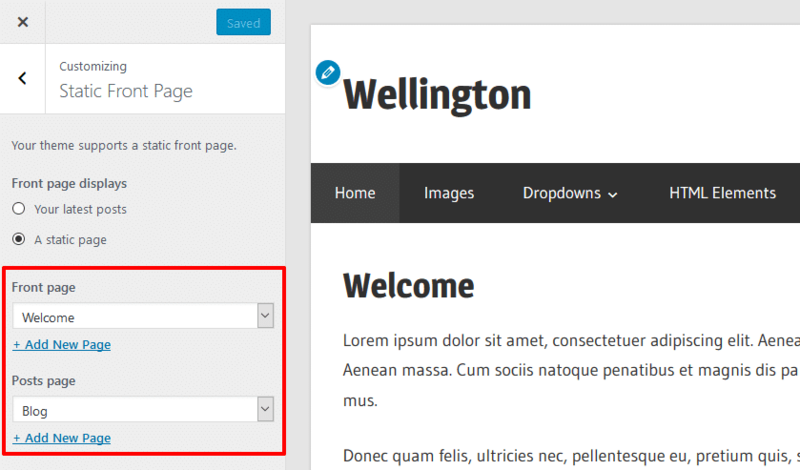 You can also configure the static front page in your WordPress backend on Settings → Reading. Please select A static page (select below) first. Then choose a static page as Front Page. In order to display your latest posts, you can select a Posts page which will then display your posts instead of the normal page content.